The following list of eminent persons has been complied either from personal interviews with them, books they have written or from persons who knew them when they were living. Granted, in some instances their position against reincarnation cannot be verified, however, I am confident that the research that has gone into this assemblage is as accurate as is reasonably possible. 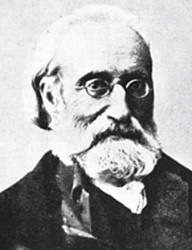 Born Mírzá Ḥusayn -`Alí Núrí, he was the founder of the Bahá'í Faith. He claimed to be the prophetic fulfillment of Bábism, a 19th-century outgrowth of Shaykhism, and, in a broader sense to be a manifestation of God. He also claimed he was the fulfillment of the eschatological expectations of Islam, Christianity and other major religions. In his early life he had a relatively limited education normal for the class from which he came. He learned horsemanship, swordsmanship, poetry and calligraphy, and was also renowned as an excellent poet and calligrapher. Medium and founding editor of the weekly spiritualist newspaper, Psychic News. This accomplished journalist and superb medium is known for the teachings of one of the most influential and wise spirit guides ever to have contacted this earth-world Silver Birch. For half a century Barbanell devoted his life to spreading spiritual knowledge through his columns in publications that he was associated. 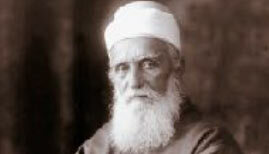 His books promoted the existence of life after death and may very well be the most popular of any within Spiritualism. They include: Teachings of Silver Birch, Guidance from Silver Birch, Philosophy of Silver Birch", Light from Silver Birch", A Voice in the Wilderness", The Seed of Truth" and The Spirit Speaks. Occultist, spiritualist medium, author and co-founder in 1875 of the Theosophical Society. 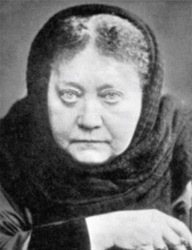 Blavatsky gained an international following as the leading theoretician of Theosophy. She was a controversial figure during her lifetime, championed by supporters as an enlightened guru and derided as a fraudulent charlatan by critics. Her Theosophical doctrines influenced the spread of Hindu and Buddhist ideas in the West as well as the development of Western esoteric currents like Ariosophy (An ideological system of an esoteric nature, pioneered by Guido von List and Jörg Lanz von Liebenfels respectively, in Austria between 1890 and 1930). Anthroposophy (A philosophy founded by Rudolf Steiner, postulates the existence of an objective, intellectually comprehensible spiritual world that is accessible by direct experience through inner development) and the New Age Movement (A term applied to a range of spiritual or religious beliefs and practices that developed in Western nations during the 1970s). Precise scholarly definitions of the movement differ in their emphasis, largely as a result of its highly eclectic structure. It is apparent that Blavatsky became a non-reincarnationist after going to the spirit world because the following message from her came through the mediumship of Anna Wickland. Blavatsky states, "I studied reincarnation in India and thought there was truth and justice in the theory that we come back to learn and grow. I taught the theory and wanted to bring it to the world. I felt that I remembered far back into my past, but I was mistaken. When you become sensitive and can feel the spirits around you, they speak to you by impressions, and their past will be like a panorama. A person feels it and will relive the spirits past, but the mistake is taking this for the memory of past incarnations. I did not know this when I lived on Earth, but when I came to the spirit side of life I learned differently. Memories of past lives are caused by spirits who send their thoughts, representing the lives that they lived on Earth. A spirit impresses a person with the experiences of its life, and these are implanted in the mind as one's own, causing one to think one's past is remembered." Her books on the esoteric include: The Secret Doctrine, Isis Unveiled: Secrets of the Ancient Wisdom Tradition and The Voice of the Silence. One of the first trustees of Battersea Spiritualist Church, and a well known writer of spiritualist philosophy. Boddington spent over forty years in the preparation of his landmark book, The University of Spiritualism. The origin of his authoritative book was a three-year course on all aspects of Spiritualism which was prepared by the author for students. It involved studying comparative religion, science, philosophy, ethics, logic and political economy. The result, which he rightly regarded as the crown of his life's work is a comprehensive study of Spiritualism in all its many fold aspects. This book has been a Spiritualism best seller since the original publication in 1947. Though extremely rare materialization is one of the most dramatically evidential forms of mediumship. In this masterly investigated book Materializations, Boddington examines a range of seance room phenomena including table tilting, levitation and ectoplasm. Founder and editor for five years of Two Worlds Magazine of Manchester. 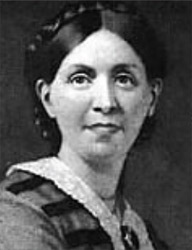 At the first National Conference in 1890, Emma advocated her concept for the fundamental basis of spiritualist philosophy which later became the Seven Principles of the Spiritualist National Union. She was editor of the American periodical The Western Star, 1872, and the British The Unseen Universe, 1992-1893. Her books include: Modern American Spiritualism, New York 1870, Nineteenth Century Miracles, New York 1884, Faith, Fact and Fraud of Religious History, Manchester, 1896, Extemporaneous Addresses, London 1866. Her classic Modern American Spiritualism is still considered the finest and most complete analysis of the early American Movement. She is remembered as a true pioneer and dedicated advocate of Spiritualism. Seer and clairvoyant of the 19th Century, he was able to enter into a higher sphere of consciousness and access higher spiritual and physical knowledge. Davis also predicted the coming age of Spiritualism and is sometimes referred to as the John the Baptist of Spiritualism. In 1844, Davis was suddenly overcome by some power which transported him to the Catskill Mountains (40 miles away). In this semi-trance state, he claims to have met the philosopher and Greek physician Galen and the Swedish Seer Emanuel Swedenborg, both of whom had been passed for some time. He also experienced a great mental illumination at that time. Davis was the first person to diagnose and prescribe cures for individuals while himself in a trance state about 50 years before Edgar Cayce. He wrote thirty books including: The Great Harmonia (1850– 1861), and an encyclopedia of six volumes The Philosophy of Special Providences (1850). British writer and physician, most noted for his fictional stories about the detective Sherlock Holmes, which are generally considered milestones in the field of crime fiction. 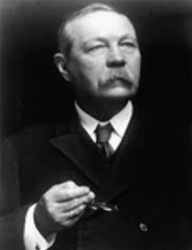 In 1900, Conan Doyle served at a field hospital during the Boer war. Later he published a pamphlet The War in South Africa: Its Cause and Conduct, which sought to justify British actions in the unpopular war. For his services he was knighted, though undoubtedly his fame as creator of Sherlock Holmes was also a factor. Though not a medium in October 1917 Conan Doyle gave his first public lecture on Spiritualism. He wanted to present the facts, as he knew them, for the benefit of mankind. Even though he knew his reputation and career could suffer if he became an outspoken proponent for the movement. He made countless public appearances to promote Spiritualism traveling to all parts of the world with his family. His easy-going manner and absolute faith in the movement made him an effective speaker. He was so sincere that even opponents of Spiritualism considered him to be well-intentioned. His two set volumes The History of Spiritualism are spiritualist classics. In his book Sir Arthur wrote, "If reincarnation were true, there must have been millions of Spiritualists, who, upon entering the other world have sought in vain their kindred, children and friends. Has one whisper of such a woe ever reached us from the thousands of communicating spirits? No never!" 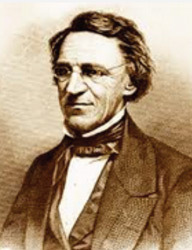 A noted legal scholar and one of the most influential early American Spiritualists. After a great public career, as a member of both branches of the New York State Legislature and, for some time, President of the Senate and Judge of the Supreme Court of New York, he resigned the latter position on account of the outcry raised against his spiritualistic beliefs and, especially, his support of the Fox sisters. His investigations into mediumship were logical, hard, and indicative of a man of the law. He was very shrewd, and, consistently his conclusions were the same that spirit out of body can and does communicate with spirit in the body. 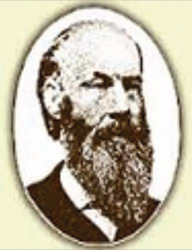 In 1851 he became a spiritualist and as time passed Judge Edmonds developed mediumship himself. Between the years 1853 and 1854, within a small circle formed with a few close friends, he received many spirit messages and communications that were alleged to be from Emmanuel Swedenborg and Francis Bacon. Along with Dr. George T. Dexter they published a work of two volumes on this belief: simply entitled, Spiritualism Vol. I, 1853 and Spiritualism Vol. II, 1855 and were considered to be the most important books on the subject of the day. In 1873 he travelled to England, and in recognition of his years of service to Spiritualism the Spiritualist Association of Great Britain presented Judge Edmonds with a testimonial certificate which read, "To Judge Edmonds on behalf of your many admirers in England, desire to testify to you our high appreciation of the distinguished services you have rendered to the cause of Spiritualism." A gifted healer and medium. In 1948 Edwards held a healing demonstration in Manchester which was attended by 6,000 people. In September 1951 during the Festival of Britain he appeared at the Royal Festival Hall in London, where he demonstrated spiritual healing to a packed audience. 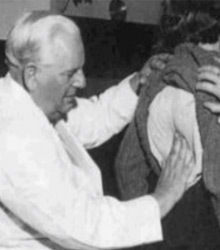 In 1955 he founded and was the first President of the National Federation of Spiritual Healers. In 1946 he moved his family and healing practice to a large house with several acres of gardens and woodland in Shere, and founded the Harry Edwards Healing Sanctuary. His books are some of the most important on healing ever written: A Guide to Spirit Healing, Thirty Years a Spiritual Healer, The Power of Spiritual Healing, The Healing Intelligence, A Guide to the Understanding and Practice of Spiritual Healing and Life In Spirit. Writer, accountant, stockbroker and Essex magistrate, as well as a significant figure in the history of the religion of Spiritualism. 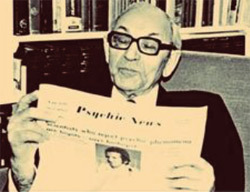 In 1932, he became a founding member of Psychic News, a spiritualist newspaper, along with Hannen Swaffer and Maurice Barbanell. He was founder and chairman of the International Institute for Psychical Research. He also became an honorary member of both the American Foundation for Psychical Research, the Edinburgh Psychic College and the honorary president of both the Institute of Psychic Writers and Artists and the Spiritualists' National Union. In 1918 Findlay attended a seance with the direct voice medium John Campbell Sloan at a spiritualist church in Glasgow. During the next five years Findlay attended many seances at the medium's home and became convinced spirit voices were speaking through Sloan. In 1920 he founded the Glasgow Society for Psychical Research, and in 1923 he took part in the Church of Scotland's enquiry into psychic phenomenon. In the same year, he retired from his profession and purchased land in Stansted, Essex, built a manor house in 1871. In his will he left his home Stansted Hall to the Spiritualists National Union. His books are some of the most important ever written on the subject: On The Edge Of The Etheric 1931, The Way Of Life, The Unfolding Universe 1935, The Psychic Stream 1939, Where Two Worlds Meet 1951, The Rock Of Truth 1933, The Curse of Ignorance 1947 and A History of Mankind. Famous British medium (aka Lincoln) and television personality being featured in the paranormal reality shows Most Haunted and Sixth Sense. A warm and charismatic performer, Fry's stage pronouncements tended towards the prosaic. Bereaved grandchildren were instructed to tidy their rooms; dead parents reassured their offspring that the end had been relatively peaceful. Fry lent his unique gift of mediumship to help not only those who found themselves in need of contact from the spirit world, but also those who were in search of further education. This furthering of spiritual knowledge came in the form of philosophy from Fry's brilliant and well educated trance guide, Magnus. 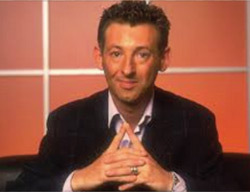 In Colin Fry's book, Inspired of Spirit, his guide Magnus states, "Reincarnation implies repetition, it is a hideous distortion of life's fear of change. The insidiousness of reincarnation has been used throughout the centuries to control people by those who have assumed authority. Those in lowly positions have been told, accept this, for you are being punished, and you shall come back on the next occasion as a prince, so tolerate what happens to you because you deserve no better." Fry's books include: Inspired of Spirit, Life Before Death, Secrets from the Afterlife, By Your Side and How the Spirits Can Help You Every Day. B. Anne Gehman is recognized worldwide as a gifted psychometrist, clairvoyant, clairaudient and healer. She has served on the National Spiritualist Association of Churches board of trustees and on the board of the Morris Pratt Institute. She was elected to the International Congress of Parapsychologist and Paraphysics in Prague, Czechoslovakia. Her work has taken her to South America, India, Bhutan, the U.K., Australia and Canada. Rev. Gehman has gained international attention for solving crimes, finding missing persons and healing illnesses. She has worked with royal families, government agencies, police departments, judges, and corporate CEOs. She has consulted with the University of Arizona, Duke University and the American and British Society for Psychically Research. 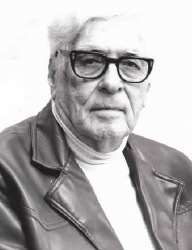 A founder of the Knoll Institute for spiritual studies. Articles about her have appeared in Life Magazine, Time, Reader's Digest and American Mercury. Her books include The Priest and the Medium, About Life, Love, Mediumship and the Spirit World, Through a Medium's Eyes and Self-Empowerment - Nine Things the 19th Century Can Teach Us About Living in the 21st. President of Stourbridge National Spiritualist Church and a minister for 60 years. 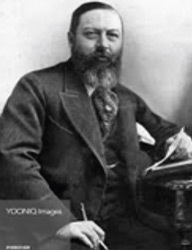 Eric Hatton held the highest office in Spiritualism in the United Kingdom as honourary president and a former president of the Spiritualists' National Union. During that time he has become one of Spiritualism's best-known figures. Respected for his transparent integrity and the level-headed approach he brings to the examination of evidence for survival beyond death. 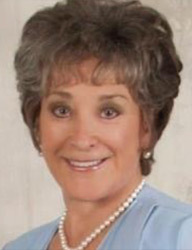 An accomplished speaker and broadcaster Hatton has shared the platform with many of the greatest mediums the spiritualist movement has produced. Aside from his devotion to Spiritualism he was a well-known Black Country businessman who ran a wholesale stationery company in Cradley Heath for 50 years. He was also involved with North Worcestershire Operatic Society and Stourbridge's old Gilbert and Sullivan Club. Hatton also helped raise thousands of pounds to help international disaster victims through a charity he set up called 'Spiritualist Aid'. The organisation helped hundreds of causes and after the Asian tsunami it donated more than £64,000 to help with rebuilding projects in Indonesia and Sri Lanka. More recently he and his wife established the JV Trust which gave millions of pounds for renovations to the Arthur Findlay College, and financial support to numerous churches. The trust helped relaunch Psychic News after its demise as a newspaper in 2010. In doing so, he was able to keep a promise he had made to the publication's founder, Maurice Barbanell, that he would do whatever he could to keep Psychic News in print if it ever encountered difficulties. Taking up the challenge is his book of memoirs on his illustrious 60 years at the heart of Spiritualism. A professor of philosophy, a psychologist, and during the last fifteen years of his life, a dedicated psychical researcher. In 1904, he founded the American Institute for Scientific Research, which was to be devoted to the study of abnormal psychology and psychical research. He earned his BA at Wooster College in Ohio in 1877, then he studied at the University of Leipzig, before receiving his Ph.D. from Johns Hopkins University in 1887 and his LL.D. from University of Wooster in 1902. He authored three textbooks, Elements of Logic (1892), Elements of Ethics (1895), and Problems of Philosophy (1905). A sitting with the Boston medium Leonora Piper, arranged by Harvard professor William James in 1892, sparked Hyslop’s interest in psychical research. During the course of further sittings with Piper over a number of years, beginning in 1898, he became intrigued with the subject, reporting that his father, wife, brother, and other deceased members of his family all communicated with him through Piper. Hyslop moved from the Christian fundamentalism of his youth, to agnosticism during his college years, to a seeker of truth and a scientific observer during his teaching years. It was during his research years he became a believer in the spirit world, and in the survival of the human personality after the change called, 'death'. In his latter years he was an opponent of reincarnation. One of the finest mediums of the last century and an excellent speaker and spiritual lecturer. 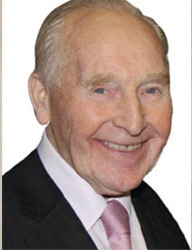 Higginson was respected around the world and had numerous friends and admirers. None, perhaps, knew him better than Eric Hatton, who, with his wife Heather, enjoyed a close friendship with him for 42 years. 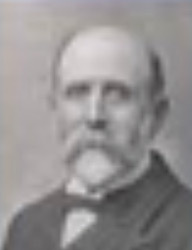 Higginson had been born of a humble family. His mediumistic gift had been recognised at a very early age by his mother Fanny an excellent medium herself. She had been guided and helped to perfect her son's gift of extraordinary clairaudience and clairvoyance, which enabled him to relay uniquely precise information. He gave his first demonstration at just twelve years of age. Higginson was president of the Longton Spiritualist Church in Staffordshire for 47 years. 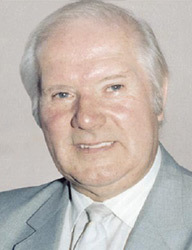 He was also the longest serving President of the Spiritualists National Union serving for 23 years from 1970 until his passing in 1993, as well as principle of The Arthur Findley College at Stansted Hall, Essex. His only book was, On the Side of Angels: Authorized Life Story. British physicist and writer involved in the development of, and holder of key patents for radio. At his 1894 Royal Institution lecture he identified electromagnetic radiation independent of Hertz' proof. Lodge is remembered for his studies in psychical research and Spiritualism. He first began to study psychical phenomena (chiefly telepathy) in the late 1880s. He was a member of The Ghost Club and served as president of the London-based Society for Psychical Research from 1901 to 1903. 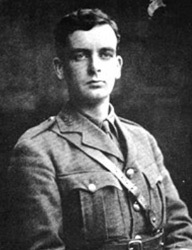 After his son, Raymond was killed in 1915 in World War I, he visited several mediums and wrote about his experiences in a number of books. Lodge was a friend of Sir Arthur Conan Doyle who also lost a son in World War I, though Lodge was a Christian Spiritualist. 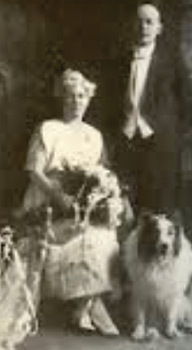 His most controversial book was Raymond or Life and Death (1916), which documented the séances that he and his wife had attended with the medium Gladys Osborne Leonard. Lodge was convinced that his son Raymond had communicated with him and the book is a description of his son's experiences in the spirit world. According to the book Raymond had reported that people who had died were still the same people when they passed over. There were houses, trees and flowers and the spirit world looked similar to Earth, but there is no disease. Other works include: The Survival of man: A Study in Unrecognized Human Faculty 1919 and Man and the Universe 1912 and Modern Problems 1912. A champion of Spiritualism as a lecturer on the subject. He was president of the National Association of Spiritualist Churches, and the author of Do I Have To Return? In it he states, "The superimposing of spirits can make us believe we have a familiarity with certain individuals or have lived in a certain place before in a past life. Spirits are continually interacting with the mortal world. Child prodigies and geniuses are said to be old souls who have come back in rebirth. Do people not realize that children are most susceptible to spirit influence between six and seven years of age, whether that influencing spirit is a musician, mathematician, poet or writer of prose? How easy it is to forget that spirits are around us at all times, mingling and co-mingling." One of Spiritualism's finest trance mediums whose guide was Tine Siene Tie. Apart from his activity upon the platform Morse has always taken an active part in such matters as the formation of the British National Association of Spiritualists, in Liverpool, in 1872. He served upon its council until it was reorganized as the Central Association of Spiritualists, and so continuing until that body was reconstituted, and re-named The London Spiritualists Alliance, and he was an honored member. He has been an active correspondent to all the English journals, The Medium, The Spiritualist, The Pioneer of Progress, The Herald of Progress, Two Worlds, and Light Magazine. He was an accredited English correspondent for many years for the The Philosophical Journal, The Light of Truth, and The Banner of Light. The Morse's occupied a commodious house two minutes from Regent's Park, which was the only private hotel of its kind exclusively for Spiritualists, His books include: Man's Message to Man and Practical Occultism. A remarkable British medium and religious teacher. Moses attended his first séance with Lottie Fowler in 1872. Charles Williams and Daniel Dunglas Home were the next mediums he visited. Five months after his introduction to Spiritualism, he claimed to have experienced levitation. In 1878 he published Psychography, which was a treatise on one of the objective forms of psychic or spiritual phenomena. In it, he coins the term 'psychography' (from psycho and graphy) for the spiritualist concept of channelling messages from the departed via automatic writing (also known as 'independent writing', 'direct writing' or 'spirit writing'). 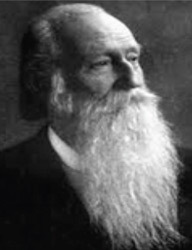 Moses was one of the first vice-presidents of the Society for Psychical Research (SPR). 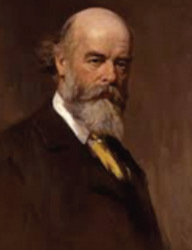 Other early members included Frederic W. H. Myers, Henry Sidgwick and Edmund Gurney. In 1892 he commenced to publish in Light Magazine full accounts of his séances. The life and activity of Stainton Moses left a deep impression on Spiritualism. He took a leading role in several organizations as President of the London Spiritualist Alliance from 1884 until his death. The phenomena reported in his mediumship served as a partial inducement for the foundation of the Society for Psychical Research where he served on its council. The famous automatic scripts of Stainton Moses are known from his books: Spirit Teachings 1883, Spirit Identity 1879 and Higher Aspects of Spiritualism 1880. Physician, author, organizer of many professional medical and religious associations, member of the Indian Peace Commission of 1868, United States Consul at Trebizond, Turkey, and representative of the American Arbitration League at the Paris Peace Conference of 1919. A former Universalist minister, he became an Episcopalian after the American Civil War, and then a Spiritualist and Theosophist. Many of his books are on spiritualist subjects, although he also penned popular books fittingly titled, How to Live a Century and Grow Old Gracefully. Some of the organizations that Peebles took a leadership role in are the National Spiritualist Association, the California College of Sciences, the Peebles College of Science and Philosophy, the California Centenarian Club, and the California Humanitarian League. He was a professor in the Eclectic Medical College of Cincinnati. Through the mediumship of Anna Wickland he states, "Forget reincarnation, because it is a sandbag around your neck. You will have it so centered on your mind that you will think of nothing else, and you will stay just where you are. You cannot progress because your mind will always revert to the Earth again. You cannot live on Earth more than once, life is progression not retrogression." 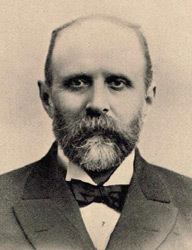 Spiritualist and founder of the Morris Pratt Institute now located in Milwaukee Wisconsin. Pratt became an ardent spiritualist in the 1850s, when seances, spirit knockings, mediums, and trances were much in vogue. He vowed that if he were ever wealthy he would give his fortune to support the movement. In 1884, he followed the advice of mystic Mary Hayes Chynoweth and invested his small savings in the Germania and Ashland mines in the Gogebic Iron Range. In a few months he sold his shares for $200,000 and, true to his word, in 1888 began building an edifice in downtown Whitewater Wisconsin to house his spiritualist institution. At the Ninth Annual Convention of the National Spiritualist Association held in Washington, D.C., Morris and Zulema Pratt presented a letter to the N.S.A. offering them the property to be utilized for educational purposes along the lines of the Moses Hull and A.J. Weaver training school with such alteration in systems of teaching and curriculum as educators may think it wise to make. On November 2, 1901 he filed a petition for incorporation which resulted in the Morris Pratt Institute becoming a corporation on December 11, 1901. Born at Lindfield, West Sussex. He joined The Daily Mail in 1902, and worked for its proprietor Alfred Harmsworth (later Lord Northcliffe) for the next seventeen years. Swaffer was editor of Northcliffe's Weekly Dispatch, and helped develop The Daily Mirror into a mass-market title. In 1913, he initiated ‘Mr Gossip’ for The Daily Sketch, and contributed the Plays and Players column to The Sunday Times. In 1926 he became drama critic of The Daily Express and The Sunday Express. Swaffer was considered to be one of the most influential drama critics in Britain. He often wrote wisely, always in a clear homey style. His habit of pontificating on many subjects led him to be termed to his deep satisfaction the ‘The Pope of Fleet Street’. 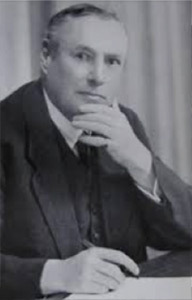 In the 1930s Swaffer became interested in Spiritualism that was one of the causes that he promoted, along with socialism and the abolition of the death penalty. He claimed that his spiritualist circle had conjured up the ghost of his former employer, Lord Northcliffe as well as those of other dead celebrities. Swedish scientist, philosopher, theologian, revelator, mystic and one of Europe's greatest minds. 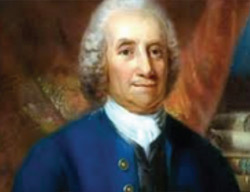 Swedenborg had a prolific career as an inventor and scientist. In 1741, at age 53, he entered into a spiritual phase in which he began to experience dreams and visions. Then on the Easter weekend of April 6, 1744, he was brought to the spirit world by Jesus to learn his truths. Swedenborg had been selected because a mortal was needed, who would be respected among the thinkers of the day to found a new spiritual movement. Swedenborg was such a man, having an eclectic mind and learned in mathematics, geology, chemistry, physics, mineralogy, anatomy and astronomy. He was one of the outstanding and respected scientists of his time, and a member of Sweden's House of Nobles. He devoted the latter quarter-century of his life to theology. Swedenborg spoke of a New Church that would be founded on the theology of his works. In 1787, a movement was founded in England on the belief that Jesus taught the spiritual meaning of the Scriptures to Swedenborg. His most well known work, Heaven and Hell was published in 1758 and, since then, many persons have been influenced either by Swedenborg's writings or by his movement the New Church. Through the mediumship of James E. Padgett Swedenborg writes, "We have one life and that we are born into this physical world to prepare us for our eternal life. These memories of what is now called, 'past lives' are the memories of those who have gone before us. Very often, we sense these past memories and believe them to be our own. We have one eternal life and we are ourselves throughout eternity." An Anglican minister and prominent writer, and a leading voice for Spiritualism in Britain. He was educated at Durham University, England, and became the Church of England vicar of Weston, Otley, Yorkshire. As the Vicar of Weston, he and his wife lived in a vicarage that was described as, 'a much haunted house'. He was a talented and versatile man, an astronomer, musician and inventor. He published books on astronomy and discovered a comet. He was also a close friend of psychic photographer William Hope, whom he defended against hostile criticism and had written a work defending spirit photography and its maker, The Vindication of William Hope. Rev. 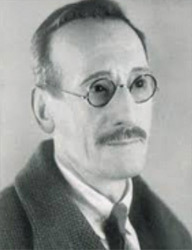 Tweedale was the author of the books: News from the Next World (1940), Man's Survival After Death, The Other Side of Life, In the Light of Scripture and Human Experience and Modern Research 1920. Swedish-American psychiatrist and psychical researcher originally from Chicago. Wickland turned away from conventional medical psychology and toward the belief that psychiatric illnesses were the result of influence by spirits of the departed. He came to believe that a large number of his patients had become possessed by what he called, 'obsessing spirits', and that low-voltage electric shocks could dislodge them. His wife Anna acted as a medium guideing these spirits toward progress in the spirit world. Wickland was convinced that he was in contact with a group of spirits known as, 'The Mercy Band' who would remove the possessors, and help them in the spirit world. Psychologist Robert A. Baker listed Wickland and Arthur Guirdham as early psychiatrists who preferred to ignore the science and embrace the supernatural. Wickland founded the National Psychological Institute in Los Angeles, California to study psychic phenomena. A letter published in the 1918 issue of the journal Science criticized the Institute's promotion of psychic research under the name of psychology as an example of 'pseudo-psychology', adding that the use of such a name involves bad taste and delusion. Spiritualists considered him an authority on 'destructive spirits', and in 1924 he wrote, Thirty Years Among the Dead detailing his experiences as a psychical researcher. Later in 1934 he wrote The Gateway of Understanding.